How to find construction jobs? 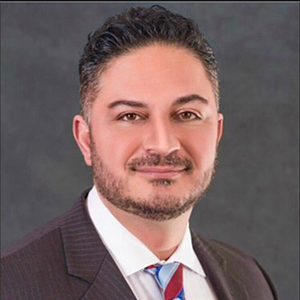 Since then, Pouria and his team have developed AE Concepts into the premier recruiting firm for the placement of talented Architects, Engineers, and Construction professionals. AE Concepts recently earned the honor of being ranked #2 Orlando Business Journal’s Top 20 Best places to work. As the Vice President, Vienna takes on the daily operations, internal hiring, mentoring and training of our recruiters. She also handles client management for AEC and MEP firms. She specializes in permanent placement of highly skilled architectural, engineering and construction professionals. Her success is based on the philosophy of providing high quality candidates to grow our clients’ businesses. Vienna graduated from the University of Central Florida, and has been actively involved in multiple different charities such as Reality Cares Cancer Benefits and Heart of Biolustre for Cancer Survivors. She has acted as co-host of the Mystic Force Foundation & The Fred Taylor Foundation. 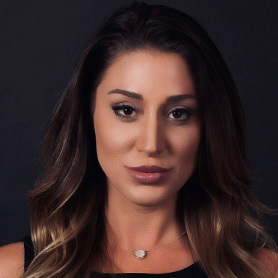 Vienna began her career in Public Relations after she appeared on several Reality TV shows, and after a few years in Los Angeles, she moved back to FL and started working in HR. From there she became a Hire Manager, Director of Traveler Development and Sr Recruiting Manager. After three years of dedication at our firm, she helped our firm double in size while holding the role of Top Producer. She is now our Vice President and a share Partner of AEC. In her spare time, Vienna enjoys being a fur mom, hosting dinner parties and spending time with her family. Please contact Vienna to assist with any of your hiring needs and the continued Growth & Success of your firm. Ashly is the Senior Recruiting Manager & Operations Supervisor, but her role in the firm goes far beyond that. Ashly is responsible for the day to day duties from managing the needs of her clients, training and mentoring the team, to overseeing the financial obligations of the organization. Ashly graduated from the University of Central Florida and has been actively involved in sports her entire life. She began her career at Carter Electric as a Payroll Manager and assumed the responsibility of Executive Assistant to support her Father, the CEO. Ashly advanced her career by accepting a Financial Officer position with a Healthcare Staffing Agency, working directly under the CFO. After realizing the “sky is the limit” in the world of recruiting, Ashly applied her knowledge, dedication, and tenacity and joined AE Concepts! In her spare time, she enjoys family gatherings, sporting events, and a casual stroll around the farmer’s market. Not to mention, Ashly was recently gifted the cutest puppy in the world, a Blue Frenchie named Finn. She also volunteers for the Runway to Hope and Susan G Komen Breast Cancer charity organizations. Ashly welcomes and encourages you to contact her regarding career advancement opportunities! Jesse James Olinger, Sr. is a seasoned recruiter with vast experience in the aerospace industry. As Vice-President and “Recruiter Gunslinger,” he leads a team of recruiters who specialize in bringing together the best AEC professionals in the world with the most respected and well-established firms in the industry. Olinger’s diverse background enables him to bring a distinctive and unique perspective to his professional recruiting practice. He holds B.S. degrees in Aerospace Engineering and Physics and previously worked with several of the world’s top aerospace and defense firms including Lockheed Martin & NASA. After his career as a professional football player in the American Football League, he soon developed a passion for helping his fellow players grow professionally. This led into a career mentoring and coaching many former NFL players towards making the transition into successful careers after sports. When he’s not headhunting the best talent in the industry, there is nothing he loves better than spending time with his beautiful family. He is blessed with a wonderful wife, Yasmina, who has given him the greatest gifts of his life: his 14-month old daughter Jasmine Jolee, aka “Pookie,” and his 4-month old son, Jesse James Jr., aka “Bubba,” aka the Lil’s Gunslinger. Today he leads the team at AE Concept as Vice-President.